The University of Wittenberg isn't the party school Hamlet thought it was. Playwright Aaron Posner reimagines Shakespeare's The Merchant of Venice for an American audience with his drama District Merchants. Set in Restoration-era Washington, D.C., it tells the story of Antoine, a wealthy black merchant, and Shylock, a successful Jewish moneylender. Antoine's friend Benjamin Bassanio wants to woo an heiress, but he's blown through his own inheritance. He asks Antoine for a loan, but Antoine is cash-poor at the moment. Perhaps a loan may be agreed upon with Shylock. Shylock, who knows Antoine is an anti-Semite, grudgingly agrees on the condition that if Antoine forfeits, Shylock gets a pound of his flesh. Posner delves into racism, religious strife and the strained relationship between minority groups in America, as well as legal inequality and predatory lending. New Jewish Theatre presents District Merchants at 7:30 p.m. Wednesday and Thursday, 8 p.m. Saturday and 2 p.m. Sunday (January 24 to February 10) at the Wool Studio Theatre in the Jewish Community Center (2 Millstone Campus Drive; www.newjewishtheatre.org). Tickets are $42 to $45. 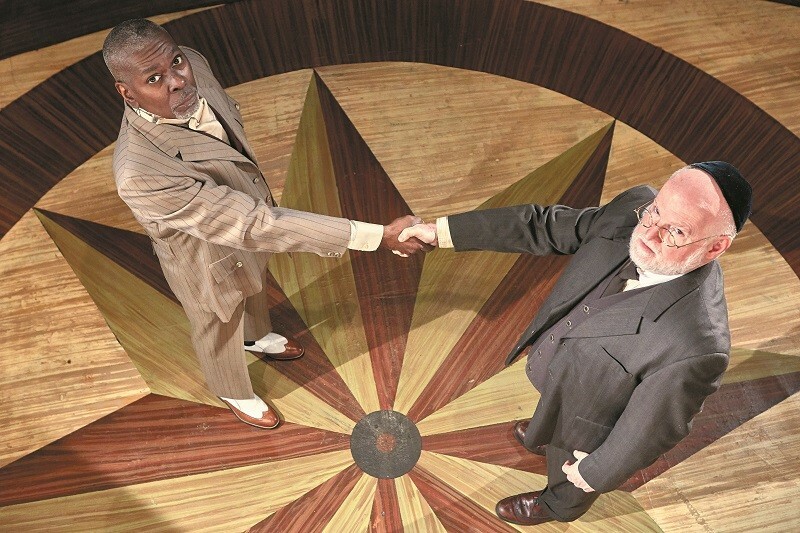 In District Merchants, Antoine and Shylock strike a business deal, but that doesn't mean they understand — or like — each other. The Hamlet we know from Elsinore — dour, broody and downright uncertain — wasn't always that way. Back in his glory days at the University of Wittenberg, Hamlet was a dedicated student focused on his studies and working steadily toward graduation. Yet in the fall of 1517 he returns to the university after spending his summer studying astronomy, armed with the knowledge of something that's shaken him to his core. He's not alone in his unease. Hamlet's priest, Martin Luther, is finding it increasingly difficult to downplay what he sees as the failings of his fellow churchmen. Only Hamlet's mentor, good old John Faustus, is happy now that he's decided to marry his beloved Helen. 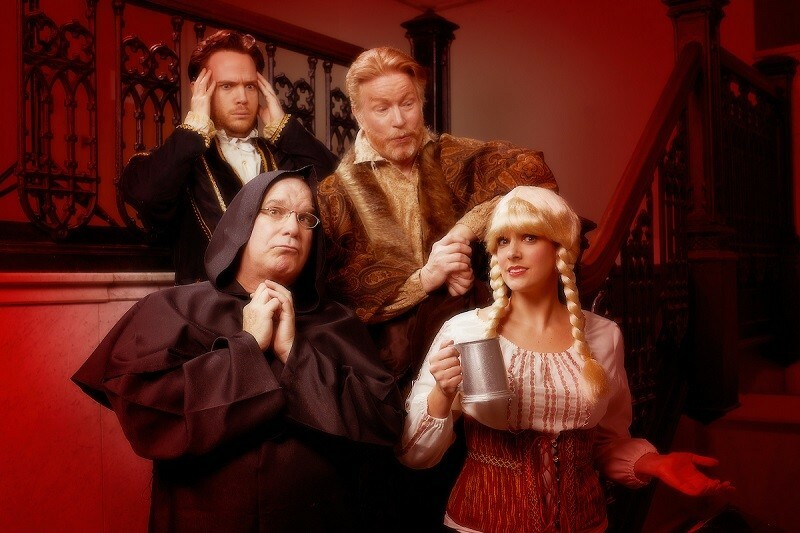 David Davalos throws together some of the great troublemakers of fiction and reality in his comic play Wittenberg, which also incorporates witty repartee, duels on the tennis court and a sixteenth-century hit parade. Upstream Theater performs Wittenberg at 8 p.m. Thursday through Saturday and 7 p.m. Sunday (January 25 to February 9) and 2 p.m. Sunday, February 10, at the Kranzberg Arts Center (501 North Grand Boulevard; www.upstreamtheater.org). Tickets are $25 to $35. Big Muddy Dance Company brings you that Home Grown stuff. Local choreographers are the inspiration for Big Muddy Dance Company's new show, Home Grown. 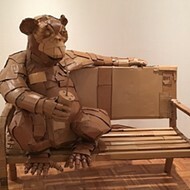 The celebration of local talent features new works by Kirven and Antonio Douthit-Boyd, Sam Gaitsch and Keith Williams, with Big Muddy artistic director Brian Enos' crowd-pleasing Jetstream thrown in for good measure. Home Grown is performed at 8 p.m. Saturday, January 26, at the Grandel Theatre (3610 Grandel Square; www.thebigmuddydanceco.org). Tickets are $25 to $35. Jackie's back, baby. Returning home after a stretch in jail for drug dealing, Jackie just wants to stay out of trouble and see his girlfriend Veronica. She's still using, and even worse, Jackie spots a hat in her apartment that isn't his — can she be double-timing him? Falling back into bad habits, Jackie gets a gun and goes to talk to his parole counselor Ralph, looking for moral support. Ralph, who has his own relationship problems, urges Jackie to get rid of his gun. You can't live with 'em, but you can't shoot 'em either, right? Stephen Adly Guirgis' seriocomedy The Motherf*cker with the Hat is rife with morally questionable characters all advising one another how to be a better person. But can anyone in this soiled world actually be good? 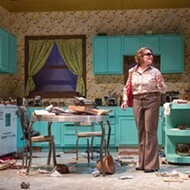 R-S Theatrics opens its new season with The Motherf*cker with the Hat. Performances are at 8 p.m. Friday and Saturday and 7 p.m. Sunday (January 25 to February 10) at The .Zack (3224 Locust Street; www.r-stheatrics.org). Tickets are $18 to $20. Urban Chestnut's annual Wolpertinger party is a celebration of St. Louis' craft-brewing community and the city's German heritage. The Wolpertinger is a legendary animal spotted in the forests of Bavaria; it has a rabbit's body, wings, fangs, antlers and — at Urban Chestnut, at least — lederhosen. Wolpi the Wolpertinger is the party's mascot, and he shows up when the kegs are tapped. This year's party features malty and full-bodied bock beers brewed by more than 40 local breweries, as well as food and music from Larry Hallar and the St. Boogie Brass Band. If you're so inclined, you can make your own Wolpertinger costume and compete for Urban Chestnut prizes and beer in the Wolpi costume contest. It all takes place from 1 to 5 p.m. Sunday, January 27, at Urban Chestnut's Grove Brewery & Bierhall (4465 Manchester Avenue; www.urbanchestnut.com). Tickets are $40 and include a commemorative glass and unlimited beer samples. Fiddler on the Roof has everything, including a wedding. 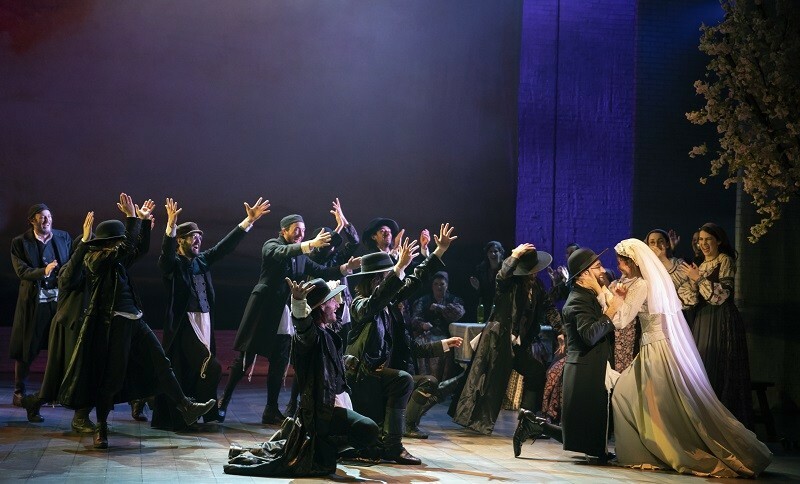 The Joseph Stein, Jerry Bock and Sheldon Harnick musical Fiddler on the Roof celebrates love in the shadow of violence, life in a time of strife, and joy in the face of uncertainty and hard times. The world it depicts — a village of Cossacks and Jews in early twentieth-century Russia — is long gone, but violence, strife and hard times remain, and so the show's message still resonates. Jewish milkman Tevye tries to hold his family together while a pogrom brews and the world he knows falls apart. Fiddler is a beloved classic, but even the classics may need sprucing up now and again. The current Broadway touring version, reinvigorated by choreographer Hofesh Shechter, has garnered much praise for its freshness and sparkle. The sun rises and the sun sets, but the dance of life continues. 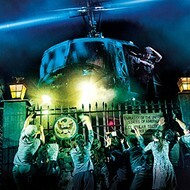 The Broadway tour stops in St. Louis for a run at the Fox Theatre (527 North Grand Boulevard; www.fabulousfox.com). Performances are Tuesday through Sunday (January 29 to February 10), and tickets are $29 to $104.